I have collected historic plants from my family homesite in southern Virginia. This year, about 7 years after collecting a small daffodil bulb from the sight, we now have a very nice bloom. If anyone has an idea of the name, I would be interested to know it. I estimate it was planted somewhere around 1900 to 1918, base on what i have learned about other plants that I have collected. Just glancing, Bath’s Flame perhaps. 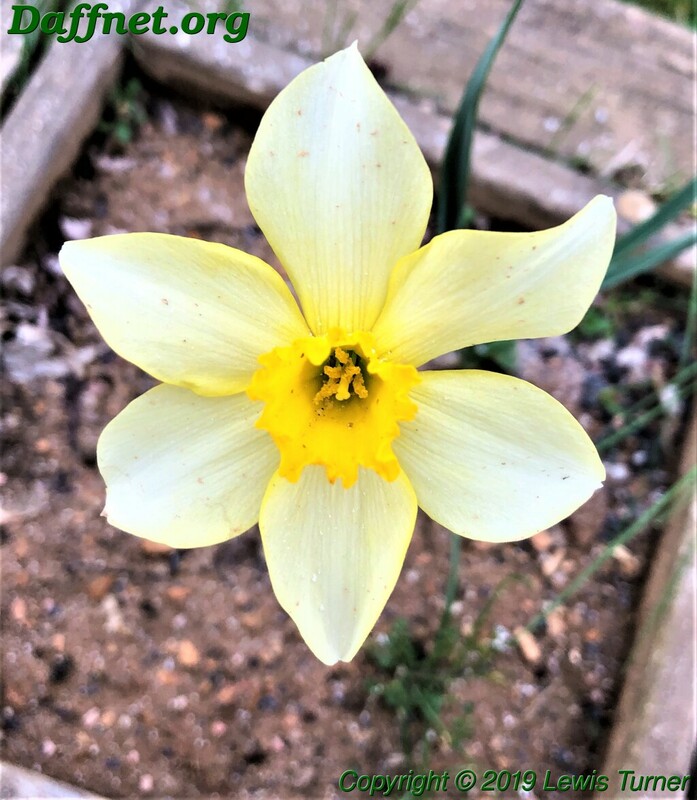 Thank you Drew–It is very close to Barth’s Flame–but there are some subtle differences when looking at White Flower Farm Daffodils–they have one labeled Barth’s Flame. We may never be sure of the name, but I really appreciate that try. Those efforts do help. Thanks, I really appreciate your helping. The petal color of some daffodils does change after a few days of being open. I found out that this happened with the one that I collected. In checking White Flower Farm’s catalog–it is almost identical to Barth’s Flame except that the corona is all yellow and does not have a red rim. This picture was taken after an evening of rain, but the flower still remains very nice. Lewis, there is a real problem when identifying daffodils from naturalized planting. That is, it is possible that the cultivar you are showing has come from seed dropped from the original cultivars. In that case what you have may be similar to the parent but not identical. You did say that the bulbs you collected were small, therefore, may be new cultivars. I had not considered that possibility, but it is definitely probable. 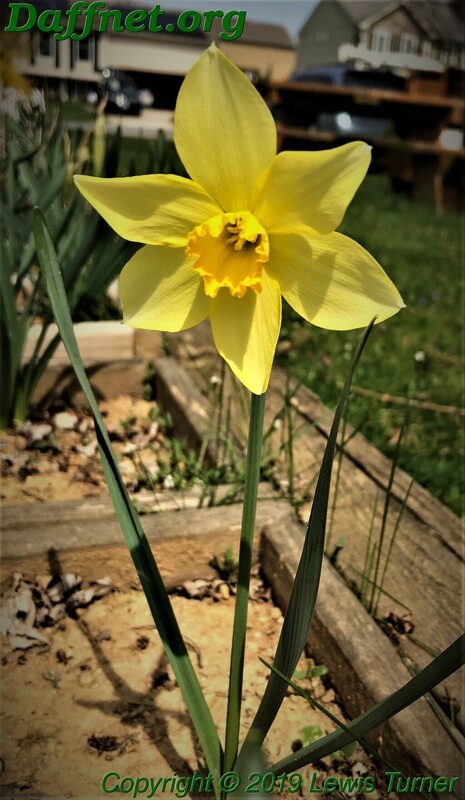 From what I have seen of daffodil bulbs in naturalized settings has been the result of bulb division, and in the state of Virginia on the East Coast of the USA, I have seen several fields of naturalized daffodils that exhibited bulb division. Still, the fact that some do set seed, what you say is very probable. I do know that this one came from a sight of a house that is no longer standing, and the ground had been disturbed a few years earlier–another reason for this bulb to be small. Bottom line–yes it could have grown from seed, or it could be a bulb from a planting that refused to give up and die. Either way–I am glad to have it. Thanks for sharing your thoughts about that it may have come from an original cultivar. I appreciate the comment. But ‘Stella Superba’ turned out to be a very robust 2W-Y indeed, thriving in the climate of the American south in full sun, clay soils, where other whites dare not tread (except, eventually, Queen of the North, sort of). StellaSup hit American catalogs shortly after it was introduced and was widely sold, but was dropped for more modern forms and so gone from American catalogs by 1920. The rate of fade is determined by sun/heat; the more the faster. In the south, it is usually on the ‘three-day-fade’ program; when weather is cloudier and cooler than usual, it takes longer. So I’m not surprised that if your flower is StellaSup, it’s taking longer to fade in your midAtlantic climate. Check out the images on DaffSeek. StellaSup also tracks the sun aggressively, so it is not uncommon to find a flower pointing straight up. It also is just a bit unstable, so like ‘Sir Watkin’ it will regularly throw extra petals. And a faint rim ring in some years. So, traits to look for in your rescuees. If you’re interested in historic daffs, there’s a listserve hosted by the ADS for just such natterings; email me directly and I’ll sign you up. If you’re interested in the history of daffodils in America, there’s a book on the topic which is available on-line at Amazon and used copies on ebay (Daffodils in American Gardens, 1733-1940). If you have other flowers you need to ID and want some place to start, I can send you some a selection of my catalog notes for names to sift thru on DaffSeek. Good to hear from you, Sara. Though my interest in Historic Daffodils is only a part of my interest–I do have an interest in Historic flowers, having collected some from my family homestead–various types of flowers ranging from Isris to roses and daffodils. This homestead goes back to the early 1800’s. I will look for the book you mentioned. Since no one kept records, it is possible that even though a name is given to a daffodil–it may be possible that there is considerable variance in it. That would be worth exploring. –is there a way to get to the historic pictures on Daffseek? I got to a listing of sources–but not the pictures. The daffodil society may have my e-mail on the membership listing. I have also noted some other historic daffodils growing near my family homestead–about 3 miles away. I have spoken up to the organization which owns the place (I am also a member of it–the Old Brunswick Circuit Foundation) about these historic daffodils. I do not have any close up pictures of those, but have seen them in bloom in March. I believe I have some pictures showing them in the yard, The location of those is in Boydton Va.
From time to time, I would be interested in sharing about them when I have further pictures. I also have a good clump of Narcissus Biflorus growing at my house next to the foundation on a south facing wall here where I live, near Frederick, Md. These I collected from my family homestead. Thanks for your reply–it was appreciated. 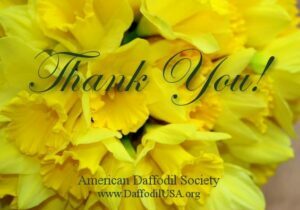 If you are trying to see photographs of only historic daffodils, from the menus to the right of the screen on Daffseek.org select “Other Queries/Special Classes” and then click the box next to “American Daffodil Society: Historics.” Click on “Submit Query.” This will provide a list of ADS Historic daffodils in alphabetical order. If you would like to sort the list by a different heading (classification or year, for example), click on that heading.